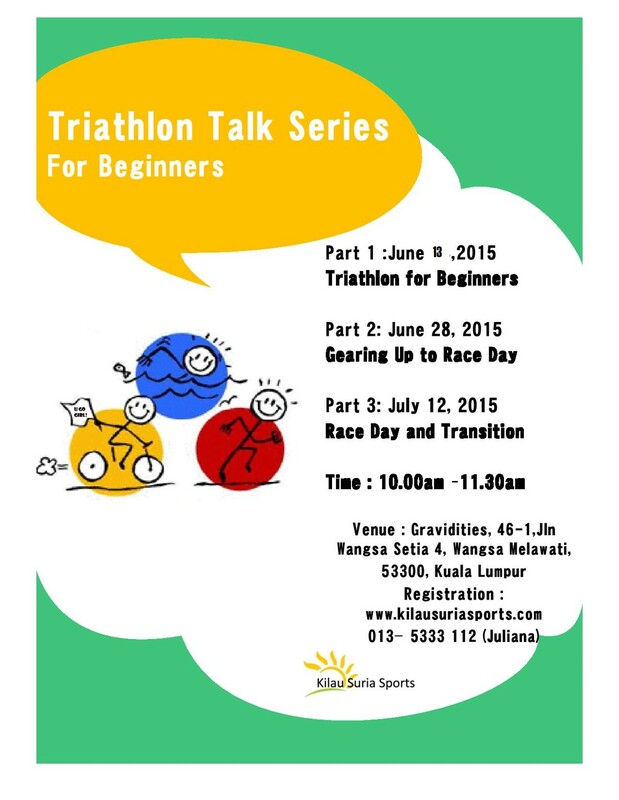 Kilau Suria Sports is organising its inaugural Triathlon Talk Series ! The 3 part talk is designed to cater the needs of all beginner triathletes seeking for a right start to their new venture, triathlon ! The talk will be presented by Nor Juliana Ali, a keen sportsperson, triathlete and Ironman Langkawi finisher. 40 free seats are up for grabs, and a special gift awaits those who signs up and attend all 3 series, which will be held on the following dates : 13, 28 June 2015 and 12 July 2015. Next So you want to Tri ? Come and join the Triathlon Talk Series starting this week !